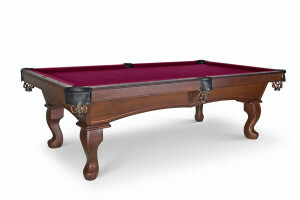 This beautiful table has a simply classic look that speaks for itself. 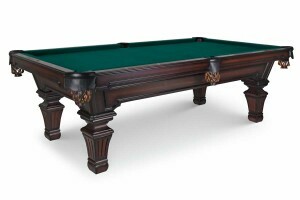 A true American country design with its solid American hardwood rails, aprons, and legs. 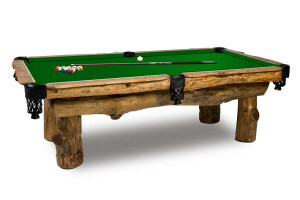 This table is also available in pine for those who desire an authentic feel of the countryside in their home. Blending nature with family fun, this solid pine table is sure to be a conversation piece in any home. 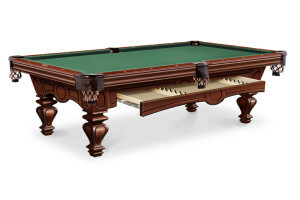 This Ponderosa pool table will bring a touch of the outdoors to your indoor game room. 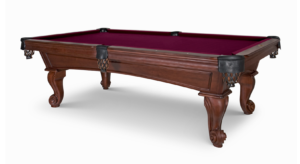 A beautiful Victorian-inspired table with intricate carved details. 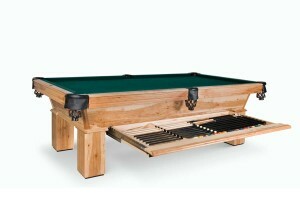 Olhausen’s® entry level table for the discriminating pool player. 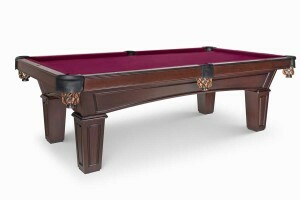 Available in Solid Tulipwood finished in Distressed Matte Traditional Mahogany only. A table with solid American hardwood, a perfectly arched frame which flows into its tapered legs is never a long shot. 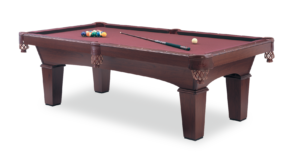 With this table you can bet on its beauty and playability for years to come.